I hope people have the initiative to look at them sometimes. It appears though, that this case is slightly different, because there is an actual Zadi S. In the other case, it is a issue of appearance but here there is an actual letter. 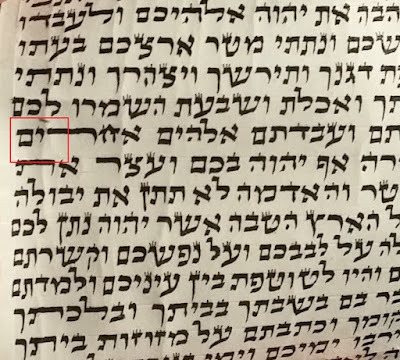 It would seem to me that if there is an hefsek in the line connecting the "yud" and "nun" of the Zadi S. it would change things a bit and you would def. need a shailas tinnok. In this case, there is an actual letter which was always there just altered a little which causes an illusion. Am i right Rav Moshe? no difference. a zadi connected or disconnected is subject to shaalas tinok, as a mem connected or disconnected in the case of bechor. 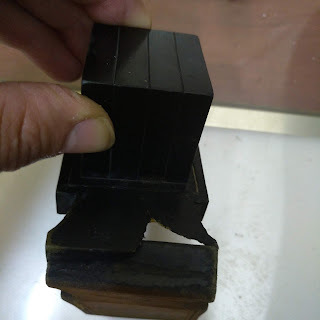 those that hold that if the word is kosher, we dont care about the tinoks illusion or probable mistake, hold that we only ask atinopk when we have a problem. 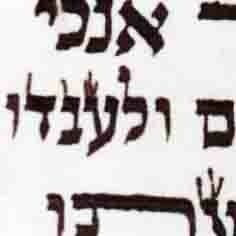 A side point - many old sifrei torah have strange tagim that look like this one. And it seems to me that the additional part should be considered an extra tag but not a shinui in the tzura. All this is assuming you agree that the old sifrei torah with extra tagim are kosher lekatchila.